Think about how much creative thinking, wondering, and questioning is behind everything that NASA does . . .
How can you connect with an astronaut? I wonder what space would be like? Mars … Here we come! What is something that is intimidating that you have learned how to do? Does watching this video inspire you to do anything? If there were no limits and you could create or code whatever you wanted, what would you create? I wonder if I can STEAM up a LiveBinder? What do you use to find resources? Are you looking for resources related to STEAM (Science, Technology, Engineering, Art, and Math)? What do you use to organize the resources you find? I am a big fan of LiveBinders for organizing, presenting, and sharing resources. I am also a big fan of Wonderopolis for providing models of questioning and searching for answers since it is in the questioning and searching that learning happens. What do you think of when you hear the work integration? What do you think of when you hear the word infusion? With integration, I think of finding way to fit two of more things together …. When I hear people talk about technology integration, I picture them trying to force technology into already existing lessons in ways that may or may not occur naturally and be fluent. When I think infusion, I think of bringing things together in a way that they are so intertwined that the two parts become one and naturally complement each other …. Do you think the following description is an example of integration or infusion? We generally use questions as a staring point to get our students wondering about a topic. Wonderopolis is one of the sites we use to show good models of questions and information searching as well as how questions lead to more questions which leads to continued learning! 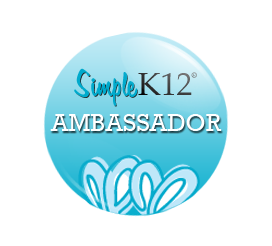 At the beginning we may be asking the questions, but then gradually encourage the students to ask the questions. But asking the questions is only part of it. It is searching for the answer that allows us to bring in technology pieces to aid in the learning process. We brainstorm places, both online and offline, to look for information to answer the questions we have. We talk about searches that would and would not work for our topic. This is a great way to naturally teach some skills about narrowing a search, using search terms, and evaluating sources. Once we find a few resources we can introduce, practice, and review reading skills as well as various note-taking application that can be used in a wide variety of areas. Most of the times the questions we start with lead to other questions. As we discover some answers, we want to find ways to effectively express what has been found and our reactions to that information. That expression may or may not include various technology tools, but this could be a natural time to introduce a possible technology option. This loose framework allows for differentiation and playing to student strengths while still challenging and encouraging more learning. Integration or Infusion or some elements of both? What are ways you can move towards more infusion for learning? As a Lead Ambassador for NCFL’s Wonderopolis Wonder Year Adventure 2012, my family and I embarked on an adventure to explore and share the wonders of the learning in the things all around us. Our adventure started out visiting various sites, both expected and unexpected, to see just what was possible to learn. The teacher in me listened to the mom in me and tried to just step back and see what my daughter would choose to focus on in the places we explored then and all thoughout the year. Some of the things she noticed were the ones I expected …. Starting out our adventure visiting a wide variety of places, from the Louisville Slugger Factory to Churchill Downs to blowing glass with an artist to create to eating at the Paradise Cafe really opened our eyes to how much we should appreciate and recognize the learning opportunities all around us. We used this year to not only explore places around us but also to find various ways to learn even and ask the deeper questions …. I am very grateful for this experience and the learning journey doesn't end now …. So head over to Wonderopolis and see what the wonder is today …. 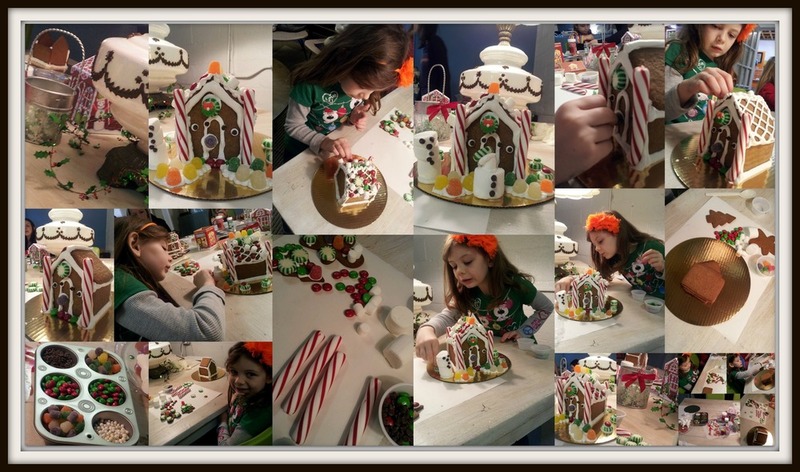 Madalyn had a great time building and decorating a Gingerbread House at Eclection in downtown Kernserville! She started asking questions and wondering about why we use Gingerbread to build houses and how it all got started …. The gingerbread house became popular in Germany after the Brothers Grimm published their fariy tale collection which included “Hansel and Gretel” in the 19th century. Early German settlers brought this lebkuchenhaeusle - gingerbread house - tradition to the Americas. Gingerbread houses never caught on in Britain as they did in North America, where some extraordinary examples can be found. But they do exist in other parts of Europe. In December 2001, bakers in Torun, Poland, attempted to beat the Guinness Book of World Records for the largest-ever gingerbread house. It was made in Szczecin, Poland, with 4,000 loaves of brick-shaped gingerbread measuring 11 1/2 feet high. It took a week to create and used 6,000 eggs, a ton of flour, and 550 pounds of shortening. Alas, they lost to an American team! Follow the history of gingerbread, from its origins in the medieval crusades to country fairs to today’s holiday treats. Includes both historic and modern recipes. A craft project to go with the Jan Brett’s book, The Gingerbread Baby. No cooking (but, alas, no eating) with this house. A quick and easy holiday decoration. Sweet and easy mini houses make perfect holiday place cards. Necco wafers, the candy that’s 150 years young, makes a beautiful roof on a gingerbread house. The bakers at Necco have teamed up to create directions for a classic construction. No patterns or templates here, but measurements are included. Necco recommends baking the house pieces a day or two in advance (possibly weeks! This tough gingerbread freezes well). It’s no fun to have walls of hot gingerbread caving in at the construction site. This recipe also works well with gingerbread house molds, such as those made by the John Wright Company.